Foster individual and team growth during interactive team building. Interactive, informative & innovative art will be customized for no matter the “team”, from leadership, executive & management teams, and coworkers. Build a stronger connection to teamwork, trust and communication. 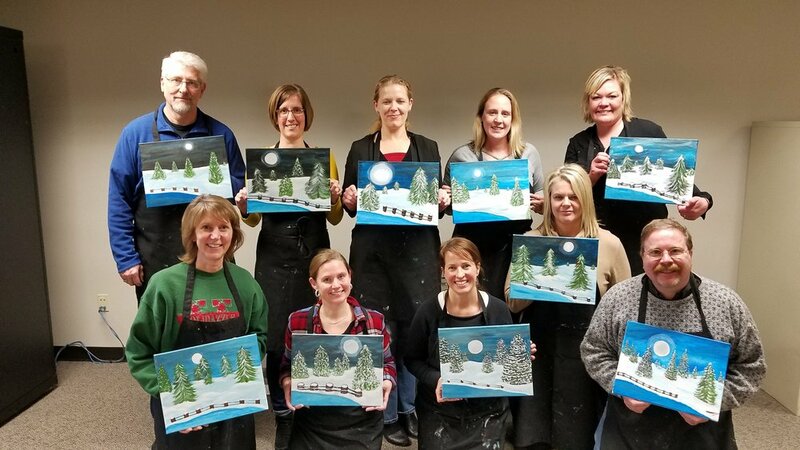 My team building events are easily and frequently adapted for client appreciation, fundraising events and office holiday parties. I want your event to be fun, organized and effortless. I provide you with all the supplies needed, including being there to guide your team through the event. Set up at your place of business or the venue 1-2 hours prior. I will welcome your team and do a team ice breaker. Need an hour for clean up and you will have a team experience and art like no other! You can chose from several options or have me customize something for your individual business. Small groups work on one canvas or “piece” of the overall mural, requiring communication, cooperation and exchange of ideas & information throughout the session. The canvases, together, create one huge, all-inclusive work of art to display within your place of business. Working in the groups are given access to all the tool & supplies, as well as guidance, to create their masterpiece that will forever invoke fond memories of this engaging social event! Individuals follow easy color charts corresponding to the numbered areas within the pre-sketched image on their canvas. All the tools, instructions & guidance is available throughout this relaxing creative painting experience for all ages. 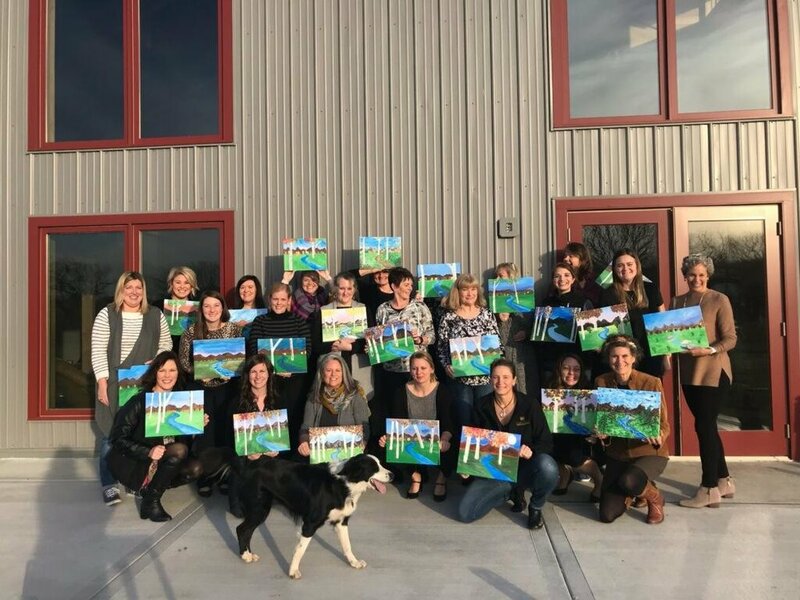 No matter the theme, company message or goals in mind, guests will paint their own individual masterpieces and have all the tools necessary along with sample ideas to choose from and incorporate. Mini lessons, guidance, techniques and lots of advice is given throughout this exploratory process. There are no stoppers on your group’s flowing creative juices! One beautiful piece of artwork is chosen dependent upon your objectives and all guests paint on their own canvas. Painters follow along as they are lead through a step-by-step tutorial & be amazed at the results! Everyone will learn a new painting skill as they encourage & help each other along the way. Lot’s of laughter & fun will color the room!